www.underclassblog.com - This is my personal version. I basically like a dark version(#303030). So I had themed it according to that. Since many requested to share, I am sharing it along with few instructions. Please note that there are no options available for users to modify in-app. Themes once set cannot be changed(Its obvious because it will be modified according to one's likings). What cannot be changed/ What are enabled by default? Privacy- Anti revoke, Hide typing/recording/blue mic/blue tick are enabled by default irrespective of contacts, groups and broadcast. Option to enable/disable hide second tick. Hide last seen is disabled. Other mods- Show name in home actionbar, Last seen in main screen, Hide call button, Text selection and Status in chat screen are enabled by default. Hidden Features- Recall, Group Description, Live Location, Group Admin exclusive, Member search are enabled by default. 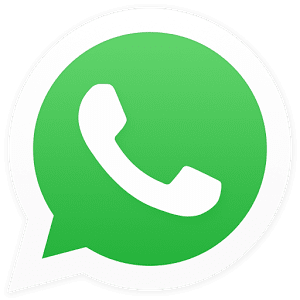 Follow these steps to modify WhatsApp. Download my GuideRide from this link. Setup GuideRide by following the instructions. Right click on APK that is downloaded. Select "Play with APK?" and wait until process completes. A folder will be created. Open that folder and Navigate to smali/com/B58works/B58.smali. Open that file with Notepad++ or any suitable editor. Find ".method private static PrefSet()V" method. This method contains all color codes that are set. Change the values to your likings. Once done, Right click on the folder created in step 6. Select "Compile it back to APK?". Your new APK will be created. ModConPickColor - Changes color of actionbar in most of the screens. Default is 0xff054d44 . ModConBackColor - Changes color of background in main/home screen. Default is 0xffffffff. ModConTextColor - Changes color of text in most of the screens. Also changes color of message that is typed in Chat screen. Also changes color of status text in Chat screen# Default is 0xff303030. ModConTextColor1 - Changes color of "Type a message" in Chat screen. Default is 0xff303030. main_text - Changes the size of TEXT in most of the screens. Default is 0xf. ModChatColor - Changes color of actionbar Chat screen. Default is 0xff054d44 . ModContactNameColor - Changes color of contact name in main/home screen. Default is 0xff303030 . ModChatEntry - Changes color of the background of "Type a message" in Chat screen. Also changes color of background of status text in Chat screen#. Default is 0xffffffff . ModOnlineColor - Changes the color of "online" status in main screen. Default is 0xff29b2c . ModlastseenColor - Changes the color of "Last seen x" status in main screen. Default is 0xff0175bb . To enable OLD UI(Remove Pager Strip) Delete home.xml in res/layout and rename homeo.xml to home.xml . #- Status in Chat screen is confirmed to be working in Android <5.1. I think there is sufficient explanation provided. Use the group to interact with other users. But remember to follow rules. Thanks again for all your support. Hope you all will enjoy it.